Growing up in Albany, New York, Charlie Tebbutt spent time in the summers with his grandparents along the St. Lawrence River. He left high school at 16 for Simon's Rock Early College in Massachusetts, later transferred to SUNY Albany, and after graduation spent five years working with the group Save the River to protect the St. Lawrence. "I realized I needed more tools to be effective as an activist," says Tebbutt, who entered Syracuse Law School, got his degree in 1987, then joined the Atlantic States Legal Foundation, suing corporations for violating environmental regulations. "It's what I do today." 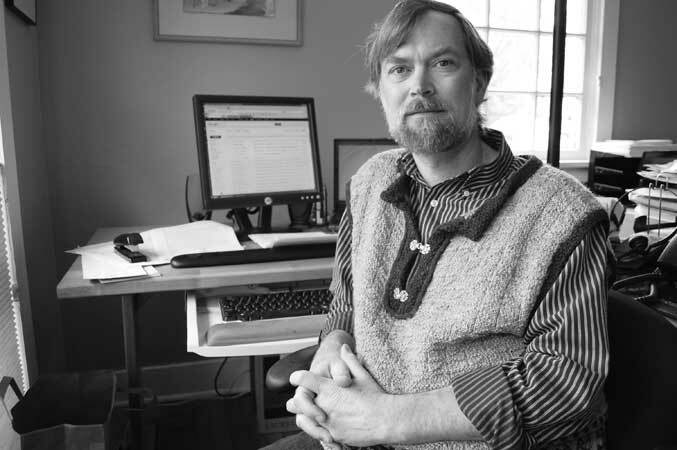 He moved to Eugene in 1994 for a job with the Western Environmental Law Center, focusing on industrial pollution, and he co-directed the Center's Campaign to End Field Burning that succeeded in the 2009 legislature. "I still represent people and organizations to protect themselves and the planet," says Tebbutt, who opened a private practice in 2009, when hard times forced WELC to cut back. "At any one time, I have 10 to 30 active cases." At last month's Public Interest Environmental Law Conference, Tebbutt was honored with the Kerry Rydberg Award for environmental activism. Read about a judgment against Chevron and other recent cases at charlietebbutt.com.